They say everything in moderation is OK, and they’re generally right. The trouble with stomach acid blockers is that the more you use them, the more you need them, and overtime, you do start to see some side effects. They can change how your stomach works and create dependency, but studies are finding long-term use has effects on other parts of the body, too. A previous link was found between constant antacid use and mental acuity going down, and now there’s a link between using antacids and poor liver health! There’s an intermediate step between your need to settle your stomach and your liver health. One of the effects of antacids on the gut is a change in your good bacteria. Antacids shift the balance in the gut, and some bacteria can take over (you want a diverse microbiome of good bacteria), at least one of those bacteria that overgrow cause liver inflammation, and can cause liver problems over time. Keeping antacids to a minimum is a good first step to prevent all chronic problems. Changing diet, including water intake, can help to naturally manage your need for antacids. If you find you’re still taking a lot, you can help support your gut in two ways. First, take a good probiotic to help keep your gut bacterial colonies healthy and diverse (a probiotic is an easy solution if you’re trying to watch your diet and avoid foods that trigger stomach upset). 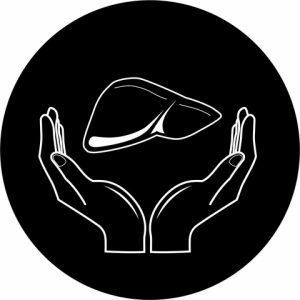 Second, support your liver (especially if you’ve already taken antacids for years). Liver DTX is specially formulated to support liver health, and includes lots of inflammation fighting antioxidants.